Leslie T. Sharpe is an author, editor, and educator. She began her editing career at Farrar, Straus & Giroux and is currently an editorial consultant specializing in literary nonfiction, literary fiction, and poetry. A member of PEN American Center, she is the author of Editing Fact and Fiction: A Concise Guide to Book Editing (Cambridge University Press, 1994), which is regarded as a “modern editing classic” and “On Writing Smart: Tips and Tidbits,” featured in The Business of Writing (Allworth, 2012). Leslie has been a regular contributor to Newsday’s “Urban ‘I’” column, and her essays and articles have appeared in a variety of publications including the Chicago Tribune, Christian Science Monitor, Global City Review, International Herald Tribune, New York Times, New York Tribune, Philadelphia Inquirer, San Francisco Chronicle, and Village Voice; The Villager; The Writer; and Psychology Today. She recently finished her memoir, Our Fractured, Perfect Selves, and her new book, The Quarry Fox and Other Critters of the Wild Catskills, a lyric narrative look at the wild animals of the Catskill Mountains, will be published by The Overlook Press in the spring of 2017. Her poems for children have appeared in Ladybug Magazine. Leslie has taught writing and editing at Columbia University, New York University and the City College of New York. Simona David: Leslie, you are well-known to the Catskills literary community as an instructor for Writers in the Mountains. You also taught for MediaBistro. And of course, for a long time, you taught at Columbia University in New York City. Your new book The Quarry Fox and Other Critters of the Wild Catskills will be published in the spring of 2017 by The Overlook Press. Congratulations! Leslie T. Sharpe: Thank you. I am delighted to say that my book The Quarry Fox and Other Critters of the Wild Catskills is set to be published by The Overlook in spring 2017. The Overlook Press started in Woodstock, but their offices are now located in Manhattan. Since the 1970s the press has had a wonderful specialty area for Catskills books, Hudson River Valley books; that’s why my agent and I really wanted to be published by them. They have a large list, including literary fiction, literary nonfiction, history, and other parts of that genre. 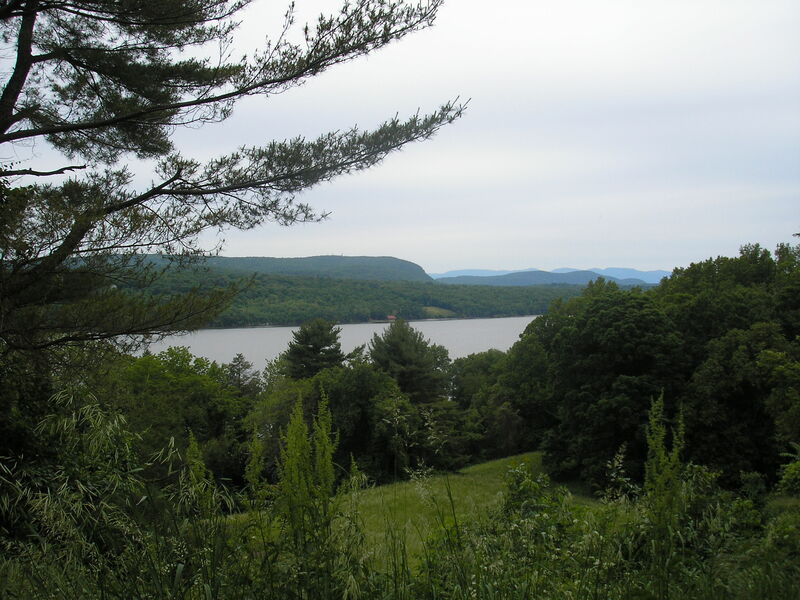 For instance, Alf Evers’ The Catskills, From Wilderness to Woodstock was published by The Overlook in 1972. SD: You’ve been a naturalist all your life, very much involved with Audubon Society. What is a naturalist, and what does he / she do? LTS: The thing that I’m proudest of with regard to my environmental credentials is that I was president of Junior Audubon when I was in the 2nd grade. I’ve also been the vice president of New York City Audubon Society, and editor of the Urban Audubon. And like most people who love nature, I’m a lifelong birder and naturalist. Of course, there are many definitions of naturalists. In a large sense, a naturalist is just someone who observes nature. This could be a backyard birder or a wild life biologist. Everyone who looks out their window, and watches their bird feeder, welcomes the hummingbirds, puts out sunflower seeds for the chipmunks, and watches their antics and often records them – this is what a naturalist is, and the basis of our knowledge about nature really comes from people like you and I who are not trained as scientists but watch and observe and record. And there are many events that honor this. For instance, National Audubon and other organizations have what they call “bird counts” such as the Christmas bird count in December: people are urged to go out and count the number of birds they see, which species, the number of birds in each species; and this kind of anecdotal information is an incredibly important part of our knowledge of birds and animals, and our sense of population rise and fall, and the effects of the environment on them, the effects of winter on them, and the effects of summer on them. So, yes, basically a naturalist is someone who just observes, and keeps a diary, and writes down his or her observations. SD: One doesn’t have to have scientific training in order to be a naturalist. Is that right? LTS: A naturalist has a very personal and deeply felt connection to the natural world. To be a naturalist in essence all you need is a pen and a notebook, perhaps a recorder. But the most important tools are your senses. It’s not really a division however between a naturalist and a scientist. For instance, Rachel Carson who was a scientist was also a naturalist. These are not mutually exclusive occupations. My point is that anyone can watch, anyone can observe, anyone can record. And those are very valuable insights. 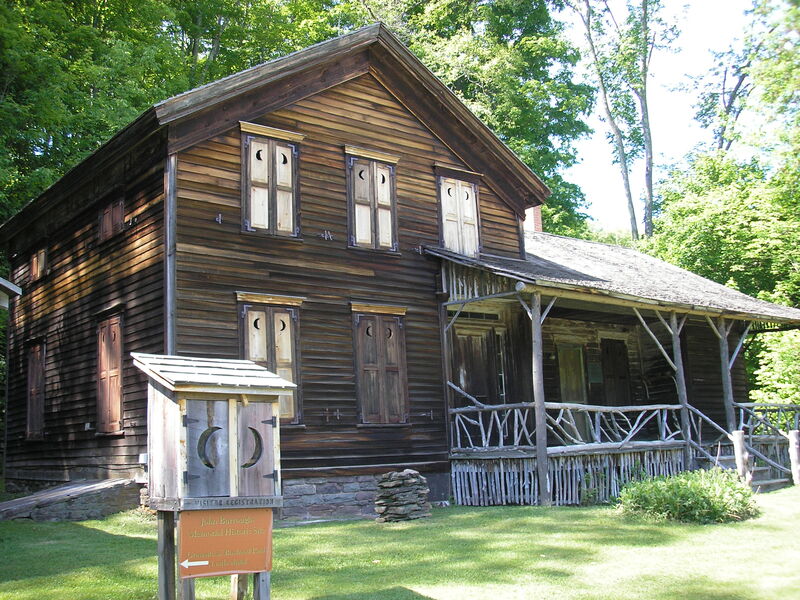 SD: You teach a Nature Writing workshop for Writers in the Mountains in the tradition of naturalist writer John Burroughs, a Catskills native. Participants range from memoirists and essayists to journalists and scientists. Let’s talk about various approaches to nature writing. LTS: There are so many aspects to nature. We think automatically of critters, and that’s largely what I’m writing about. But in my upcoming book I also have a whole chapter on wild flowers. Without dandelions in early spring what would the bees do? It’s the first thing bees find once they come out of their hibernation. Everything in nature has a purpose. And there are so many aspects to nature writing, not only the genre it can take, but also what you’re writing about. For instance, in my class we had people writing essays, journals, poetry, and some fiction as well. We had someone working on sketches for a book. A photographer, working on a multi-media project, brought his photographs to class, and shared some other angles. SD: Let’s talk about the writing process. How does your routine look like? How do you alternate between observing nature and then writing about it? LTS: It’s really organic. For instance, all the chapters in my book The Quarry Fox and Other Critters of the Wild Catskills are about different creatures. And they’re all marked by two things: it’s my direct experience with the critter, but it’s also the latest science on the subject. Because there is so much that is being discovered. And although my book is described as a lyric narrative book about the wild animals of the Catskill Mountains, it’s also informed by the latest science. One of the hardest things to do when involved with these creatures is to remain objective and not to become sentimental. Another struggle is to not interfere and not to project our own emotions on them. They have their own emotions. SD: Have you done a lot of research for the book? LTS: Yes. There are many sources, but you have to weigh them carefully. For instance, All About Birds, which is from Cornell Institute of Ornithology, that’s a fabulous resource. Audubon also has its own online resources. As a trained classicist, I very much enjoy doing research as part of the learning process. But I’m also scrupulous with my sources, both in print and online. SD: Would you like to expand a bit, and talk about the genre of creative nonfiction? LTS: The Quarry Fox, as narrative nonfiction, is themed to the wild Catskills, but every chapter is essentially a different personal essay. That is very much in the tradition of John Burroughs, the founder of the nature writing genre in America. One of the things that I do in my book, is that I dedicate each chapter to a nature writer that I love. The first chapter is dedicated to John Burroughs, a spiritual father of mine. I have a chapter dedicated to Edward Abbey, another one to Annie Dillard. I believe Abbey’s Desert Solitaire is the best nature writing book ever written. Dillard, on the other hand, is a mentor to anyone writing creative nonfiction. SD: You have taught for Writers in the Mountains a workshop called Selling Your Nonfiction Book: The Art of Proposal Writing. Would you like to share a few tips? LTS: Nonfiction is such a popular form, a lot of folks are working on memoir and personal essays. To sell a nonfiction book, whether you hire an agent or not, you need a book proposal to show it to the publisher. When it comes to nonfiction, publishers don’t want to see a whole book right away; what they want is a proposal. The proposal breaks down into certain aspects, including a marketing plan, a literature review, and some sample chapters. It’s important for the publisher to know who the book is for and how they can sell it, also if there are other similar books out there, and what credentials the author has. In my case, there are very few other books out there since John Burroughs that really cover the Catskills’ wild life. It’s important to know that everything you write when you submit to a publisher or an agent is a writing sample. The query letter is a writing sample, and is a sample of professionalism. The proposal itself, and the description of the chapters mirror the quality of the chapters themselves. SD: What makes a naturalist also a good nature writer? LTS: I am a writer, and I believe that we humans are hard-wired for stories. That’s what compels us. We tell our stories, and pass them down. Most people who write about nature are most certainly naturalists, they observe nature. Most naturalists are not necessarily nature writers. But what drives us as naturalists who are also nature writers is our desire to tell stories. How you tell your story is completely up to you. Nature writing is a great American form, not uniquely American, but this country is so extraordinarily beautiful, and there is such a diversity of landscape and critters and birds of all kinds that we’ve been shaped by it. 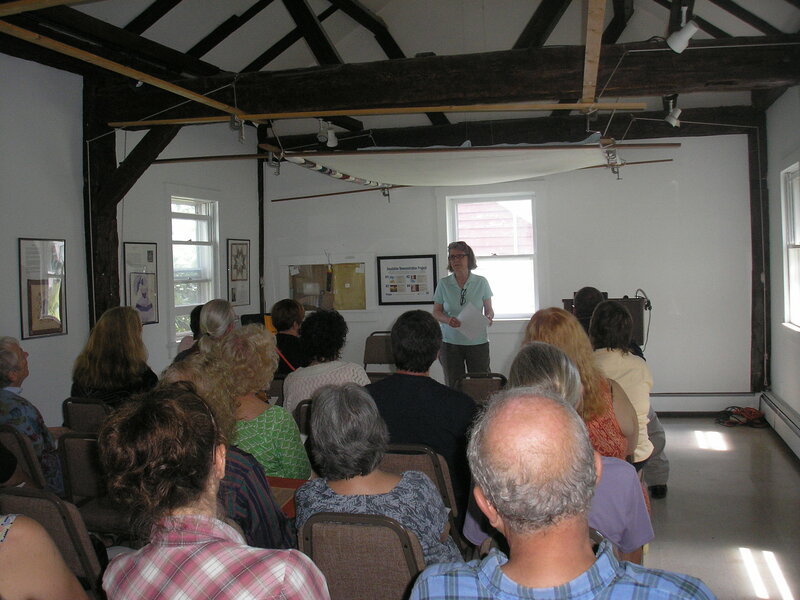 Writers in the Mountains presented at the Woodstock Public Library, as guest of the Poetry Barn, Thanksgiving Literature, Friday, November 18, 2016. Readers included Lillian Browne, Geoff Rogers, Sharon Israel, Lissa Kiernan, Bonnie Lykes, Carrie Bradley Neves, Nina Shengold, and Anique Taylor. A feast for the soul! In 2017 Writers in the Mountains will celebrate a quarter century of creative writing and community in the Catskills.